Your business’s IT systems show their vulnerabilities when faced with disaster. Business owners always wish they had a more robust and safeguarded IT system when it’s too late: after a natural disaster like an earthquake, hurricane, or flood, or a human-caused attack like a computer virus or hacking scandal, has already struck. Be proactive– now is the time to institute disaster recovery systems and protocols before an IT disaster strikes. 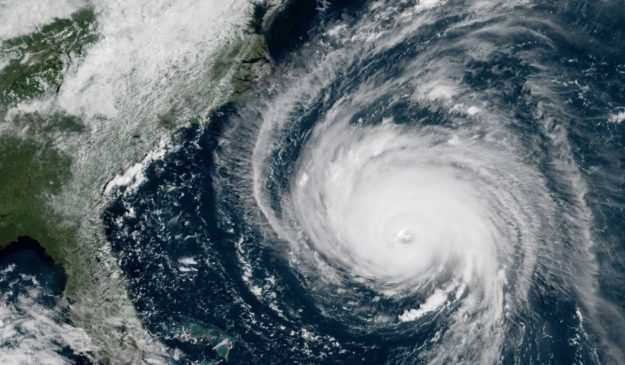 Right now, Microsoft and other IT service providers are working with businesses in the path of Hurricane Florence to make sure they can get back up and running as soon as possible. Those with disaster recovery plans already in place had their data backed up to the cloud and their data restore services regularly tested before Hurricane Florence was even on their radar. They regularly reviewed their staff and customer contact lists and made sure their virtual cloud systems were working once their on-premises systems inevitably lost power in the event of a disaster. The catastrophic flooding brought by Hurricane Florence may have already destroyed these businesses’ IT systems, but they will be quickly replaced and back up and running as soon as those business owners are ready to open their doors again– even if those doors are virtual while their brick-and-mortar locations are repaired. Unfortunately, businesses with robust disaster recovery protocols are in the minority. Many businesses will be suffering the consequences of data loss and other IT disasters in the wake of Hurricane Florence for months or years ahead, or may never open again as a result. Learn from these businesses today and have a plan in place for when disaster strikes in your area. Unfortunately, studies show that once a business loses a significant amount of data, 93% of them shut down within the next 5 years. 80% of those close within a year, while a staggering 43% immediately shut down and never open back up again. Your business, and everything you’ve worked hard to achieve with it, deserves more than getting washed out with the next flood or computer attack. Consider this: when was the last time you backed up the data for your business, and where are those backups located? If you answered that they are on the same premises as your business, that backup data is just as exposed to a disaster as your primary IT systems. Would you be able to absorb the cost of the significant time it would take to restore that data? What if you lost that data; what would that mean for your organization? Eric Raff, Cloud Solutions Architect at JourneyTEAM, says that with “today’s modern technology… modern businesses don’t need to suffer a setback or shut their doors” once an IT system failure occurs. JourneyTEAM is a Microsoft Gold Partner and can help evaluate your company’s infrastructure. They will provide you with a custom Managed Disaster Recovery Plan to account for any IT disaster that may strike. Their customized Microsoft Azure Recovery Strategy will assess any potential impacts, account for your existing systems like Dynamics 365, Office 365, and SharePoint, and create a response plan. Become a proactive business owner in the face of potential IT disasters. Contact JourneyTEAM or give them a call at 800-439-6456 and assess or create your business’s Disaster Recovery Strategy today. Once catastrophe strikes, you’ll be glad you did!